Some of you have attended seminars where I’ve spoken, and spent P500, P1000, or underwent training and paid a little more. The chances of you “succeeding” (accomplishing what you set out to do be it publishing or finishing a book) go up when you COMMIT. Is it time? #buqosteamyreads came with 3 face-to-face classes which I think helped push people to finish. Most of the finishers were also face-to-face class attendees. Is it reward? #flirtsteamyreads comes with a potentially very lucrative worldwide digital distribution deal, and more than one author shared with me that this was why they were so motivated/compelled to finish a book. 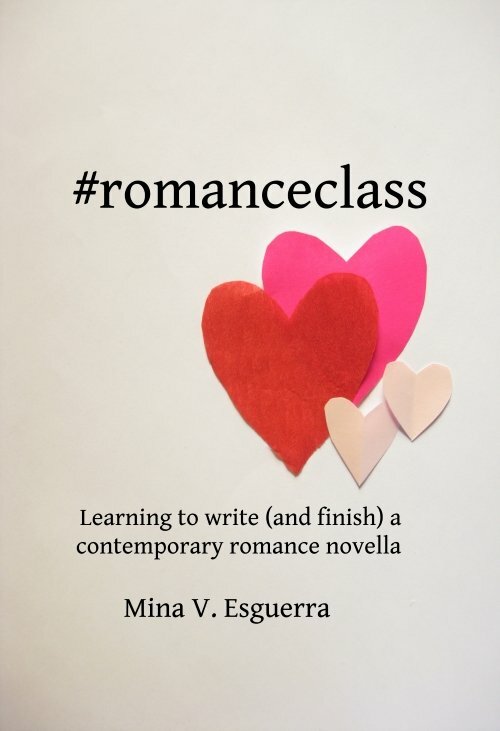 I’ve stopped the long-running, free #romanceclass because while I learned a LOT, I can’t keep putting in that much time only to have 16% of the students accomplish something. But you don’t need me for this anyway, if you just want to “see if this is for you” — I’ve printed the textbook, and you can message me here if you have any questions. No classes necessary. 🙂 Let’s call it fair trade — if the student can only spare a few minutes a day to do this, then can I also spend the same number of minutes teaching? Reflecting on this because I’m teaching romance novella-writing for teens and adults at the Ayala Museum in September. Details here!